Thread: Why did you sell your HDS light(s) and do you regret it? Re: Why did you sell your HDS light(s) and do you regret it? To me, the rotary tails were always top notch and dependable. I would have absolutely no reservation purchasing a HDS Rotary. I may even purchase the new Titanium light at the $200 premium if I feel that an Executive Titanium is never going to be made in the near future. Unless something has recently changed, I believe that the special metal sprint runs will be rotaries only. They don't sell enough Executives to justify the expense. It was, however, a good experience for me owning those flashlights. It helped me realize the true value of lights for me and what was ultimately most important in my mind. Although I was relatively late to the HDS game (my first registration on the forum was 2006, but I wasn't into "expensive" lights at that time, how foolish), I read everything about the HDS lights, including the old Arc flashlights stuff, Peter Grandsee, Joe Mintz, etc. Everything I could find, including of course the CPF threads, past or présent. I've followed your "adventures in HDS" been there, done that, and even got one of the lights that was yours, haha. I can relate on many points, but I actually never sold an HDS. I have way too many according to my wife, but am still looking to buy some more (well, that part more in my dreams). What do you like better about the RRT? Last edited by jon_slider; 02-07-2019 at 05:02 PM. 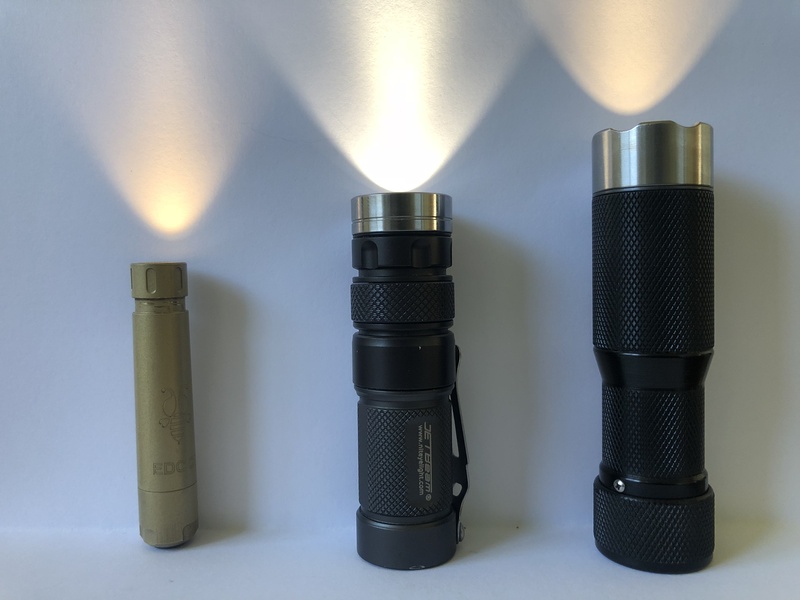 I had over 10 at one point, and I came to the conclusion I dont need multiple iterations of the same flashlight with slightly different emitters. Ive had a few but none if the limited emitters. All of mine were bought off the shelf. I sold all that I had due to not being happy with the tints. However I did have a LE 250 with smooth reflector that actually had a decent tint. I should have not sold that one. I did order a new 325 long throw rotary. Hoepfully I like it so I dont have to sell it as well.. I have owned many hds lights and have sold quite a few as well. I don't think I regret selling any of them. At one time i got a good deal on one and resold it, kind of wish I kept it for an emitter swap. However with the recent special runs, I've put that thought behind me. INFRNL's Malkoff Runtime Graphs ...making progress! I’ve sold a couple mostly to make room for different HDS. The one I regret selling was my Ti Clicky, but I sold it to get a McGizmo McLux III-T so it wasn’t all bad. But that’s gone too, I think for a SPY 007. But that’s gone too, for who knows what. What a vicious cycle. I can’t barely recall all the neat lights I’ve had, but only a few get to stay at any one time as it just isn’t fiscally possible to keep them all. It’s been a good ride though and I’m happy to have been able to experience so many cool flashlights over the years. Well said Sir and +1. I’d love to know what gems you kept. The My Lights link in my sigline is usually always pretty well up to date if you want to checkout the current lineup. Any experience with Peak, remind me ? Yes, now that I think of it! I believe a Matterhorn if I recall, many years ago. Had three 5mm emitters, AAA. Decently bright and white tint, for the day. SS though, so very heavy for its size. Duh, I should have seen that.. You definitely kept some gems! Your stable is full of straight up thoroughbreds. It’s all good. I use the app a lot so I miss most signature lines too. Last edited by nbp; 04-07-2019 at 09:54 PM. I have sold several over the years, always lights that were not getting used anymore because newer HDSs with different emitters had replaced them. The two lights that get all the use right now are a 170N and a 200 High CRI, both Rotaries. The only light I wish I had not sold is a 140 Clicky, my very first HDS. My 170N is my be all and end all, I haven't had the privilege of trying a Nichia SW45 R9080 yet, that'll be a step up - or not. I have 5 emitters in my drawer shouting to be used. I sold an XP-L 325 Exec and a 250 Tactical as I've gone all Nichia for a bit. I'm looking for an Ra Twisty. Please PM if you have a spare. Also looking for an MD4 tube, no tailcap necessary. I had several and sold them all. I love the lights but they are not bright enough to justify their cost. Interesting thought of not bright enough to justify the cost. The way i look at it is that even though they are only 2-300 lumens, they keep up with 600 lumen lights and replace many lights into one. So to me, the price is easily justified. Plus i don't believe less expensive lights are of the same caliber. I respect your opinion though. Same could be said about things like knives. They all cut, but when you have something like a Chris Reeves compared to a spyderco, benchmade, etc; you quickly learn that the crk is worth the premium. I was very tempted to get an HDS and almost bought one a few times over the past 6 years. But something always lured me away. Then, the price jump happened and put them further out of reach. They are great quality lights and over-built, with Henry still there to help out folks with issues. But frankly, I echo what jon_slider said about advantages. After getting a Jetbeam RRT-01, I really don't have any compelling reason to buy an HDS flashlight. I still appreciate them for their quality and the history. About the only thing close to it that I have is a NovaTac 120P. So as far as regrets are concerned, I wished that I had bought an HDS some years ago... just to have that experience of owning one. Because NOW, I could resell it and actually make a profit! Last edited by xevious; 04-15-2019 at 04:30 PM. All opinions are welcome here. Jon is among the more cerebral CPF'ers, and that's saying a lot considering the collective nerd power on this forum. I would only add that the HDS and the Jetbeam are very different lights. It still might be worth seeing what HDS is all about. You could easily resell the light if you don't like it. Just one guy's opinion. After getting a Jetbeam RRT-01, I really don't have any compelling reason to buy an HDS flashlight. I still appreciate them for their quality and the history. About the only thing close to it that I have is a NovaTac 120P. See, I carried a Jetbeam RRT-0 which is the older rotary with a tail clicky just a smidge longer than the -01. Did that for 10 years same light. A great unit. Backup still brand new one 10 years old in my bug out bag. My user Pic at the bottom. I am converting from my RRT units to HDS. Going the other direction than you are. I admire the quality workmanship, design, ruggedness. 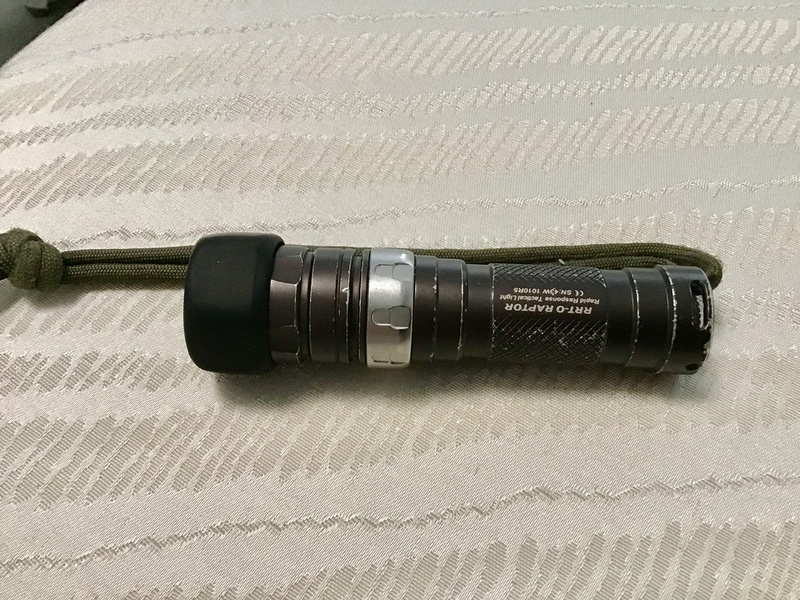 Granted my 10 year old RRT light endured many concrete drops, water plunges and banging around, but I was just ready to change things up. Not right or wrong, and I sorta consider it like this: I bought few lights the past 10 years, So I saved a fair amount the past decade. Back into it full on now. The RRT was a great light, but I am more than pleased with my changeover. I may sell an HDS in the future, if they ever come out with a higher lumen than the current 335nlt. My stable is getting full. Lol. Last edited by Commodorefirst; 04-15-2019 at 07:23 PM.